Plus, you coaxed a whole new generation into watching the story of two people meeting and loving, one whose career is on the way up, and the other whose career is on the way down . . . because of drink and drugs. In 1937 it was Janet Gaynor and Fredric March who paired up in a story about actors in Hollywood, then in 1954 it was Judy Garland and James Mason in what was less a romance than a mentoring tale of an aging alcoholic film star helping a young actress find fame. The switch to music came in 1976, when Barbra Streisand and Kris Kristofferson paired off. 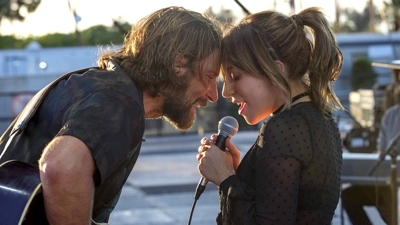 And last year young people went to see what, at it’s core, is still a thirties’ melodrama just because Lady Gaga and you were in it! 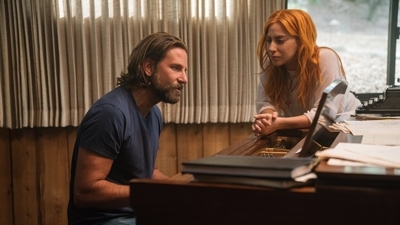 Lady Gaga is a revelation and you’re great too, though sometimes it’s hard to tell whether your character, Jackson, is an aging rock star on the decline or a country star. I guess it doesn’t matter. But in all honesty, the biggest flaw is when the melodrama pokes through in spots, and younger viewers especially will think, That was cheesy. There were enough of those moments to notice. Yet, you and Lady Gaga were so good together that we forgive those bits of cheese. And despite some predictability and maybe going just a teensy bit overboard in the Grammy scene, your version may well be the best of all the Star Is Borns. So yeah, there’s nothing to be embarrassed about. Our family really liked the film, though of course no one likes a sad ending. 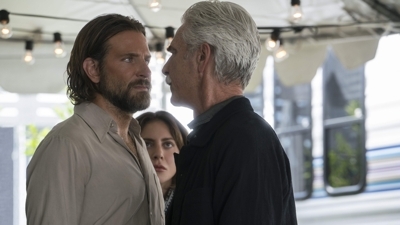 As with Bohemian Rhapsody it was an effective blend of performance, backstage, and private lives drama, but that last phase of a downward spiral is tough to depict. If you spend too much time on it the melodrama starts to take over and ooze more sappiness; spend too little and it can seem rushed. Here too, I think you didn’t quite hit the mark, because the third-act alcohol-and-drugs decline felt like more of a Tower of Terror elevator drop than downward spiral. Apart from these main criticisms I really don’t have any other bad things to say about your film. That’s not too shabby, considering your first directing gig was a stalled project that you inherited from Clint Eastwood, who had inherited it from Nick Cassavetes. But casting Lady Gaga was a stroke of genius. 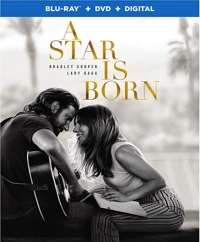 She’s wonderful, the latest in a long line of singers and dancers who proved that they are “triple threats.” As Jackson Maine’s “discovery” she shines, and clearly revives him for a while before playing second fiddle starts to get to him and he returns to old, destructive habits. Does our family think it’s a Best Picture winner? I’m afraid not. You picked a tough year to debut behind the camera. There are a lot of worthy contenders, but we still favor Bohemian Rhapsody. It just crackled with more originality and a bit more energy and intensity, even in the downturns. Maybe that’s the problem of trying to revive and remake a classic film. Maybe it’s the material you had to work with—which is why the first act is infinitely more interesting than the second or third. How Jack and Ally meet, come together, and grow together is really where this film flourishes. But as I said, what you did was really good. Really.